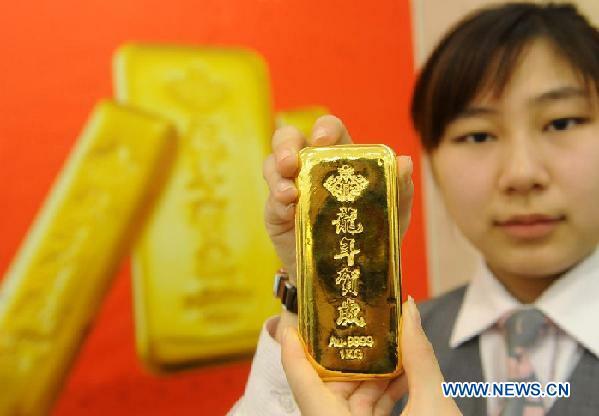 China may have overtaken India as the world's top consumer of gold in the first quarter of 2012, but the country is not resting on its laurels. By buying gold mines, and accumulating the produced gold before it hits the international market, China is able to purchase gold below the spot gold price. In the first successful example of a Chinese company taking over a large-sized gold mine that is in production, Zijin Mining Group Co, China's top gold producer by output, said a subsidiary has bought more than 50% of Australia-listed Norton Gold Fields. Jinyu International Mining, the fully owned subsidiary of Zijin Group, made a $190 million cash takeover offer in May for the Australian gold mine and then set about obtaining approval from Australian regulators. In a statement, the company said the acquisition was in line with its international development strategies. Last month, news agencies in China announced that the company had received a notice from Australia's Foreign Investment Review Board that it had no objections to the purchase by Zijin or its subsidiaries of all issued shares of Norton Gold. Zijing has also obtained approval for the deal from China's National Development and Reform Commission, which is one of the country's top regulatory bodies. Zijin already holds 16.98% of Norton Gold Fields, which has mining rights covering an area of 693 square kilometers with total gold reserves of 185 tonnes. Last year, it produced 4.7 tonnes of gold. From its open cut and underground operations at Paddington, near Kalgoorlie in Western Australia, Norton reportedly produced 152,000 ounces of gold. Recently, it added two new mining operations, the Homestead underground mine and the Navajo Chief open cut, to supply ore to its processing facility. Zijin, which is listed in Shanghai and Hong Kong, has a market capitalisation of over $12 billion and has interests across commodities including gold, copper, zinc, lead, tungsten and iron ore. The company is likely to refine 50 metric tonnes of gold in 2012. In 2011, Zijin bought 60% of Kazakhstan-based miner Altynken, which has access to a gold mine in Kyrgyzstan. Not all have been success stories though. Zijin shelved a proposed $545 million offer for Australia-based Indophil Resources, following delays in approval from the Chinese government. On its part, Zijin has moved the country a step closer to cementing its position in the world market as a top consumer. Though China and India together make up about 54% of the world's gold purchases, the latter has long been number one. The dynamics are set to change this year. While gold demand in China is set to jump by as much as 30%, to between 900 and 1,000 metric tons in 2012 from 769.8 metric tonnes last year, India's usage may fall to 700 to 800 metric tonnes, from 933.4 metric tonnes. In the first three months, demand in China totalled a record 255.2 tonnes as compared to 232.5 tonnes a year ago. China actually replaced India as the world's top gold consumer at the end of 2011. In the first 2 quarters of 2012, China's gold inflows from Hong Kong also increased six times. China's gold imports from Hong Kong were 65% higher in April than March, the third consecutive monthly rise according to Commerzbank. Data also suggests China's new rich are turning to gold to protect their wealth amidst worries over property market curbs. Though China's inflation dipped to a 30-month low in July, as reported on August 9, inflation has slowed dramatically, freeing China's central bank to do more to stimulate the economy. Gold buying is clearly set to surge in the Asian country.